When it comes to architectural evolution, container structures seem to be at the forefront. And not just overseas! 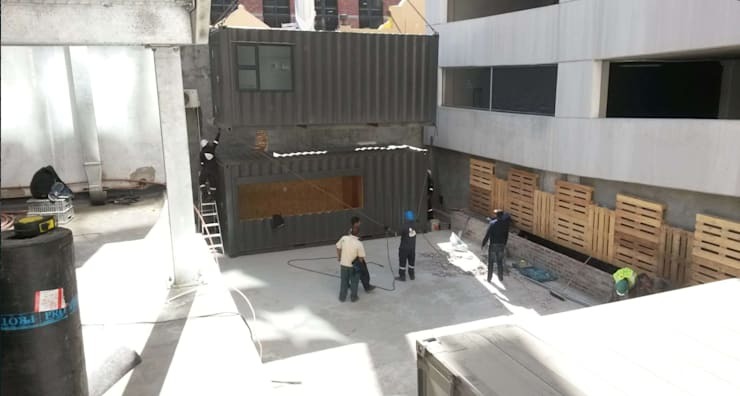 In recent years, South African architects and designers also decided to jump on the bandwagon and see what can be achieved by using old, unused shipping containers. The answer? So much more than just residential houses! That brings us to today’s homify 360° highlight, which focuses on a shipping container being used for retail purposes. But first, a little more about the professionals behind this project: Container Rental and Sales (Pty) Ltd.
With more than 25 years’ experience under their belts, Container Rental and Sales is a proudly South African company specialising in the hiring and selling of shipping containers for a variety of uses. Based in Cape Town, this company is equally skilled at converting, hiring, and selling both new-sale and second-hand containers, plus additional special equipment such as Flat Racks, Open Tops and Tank Containers. 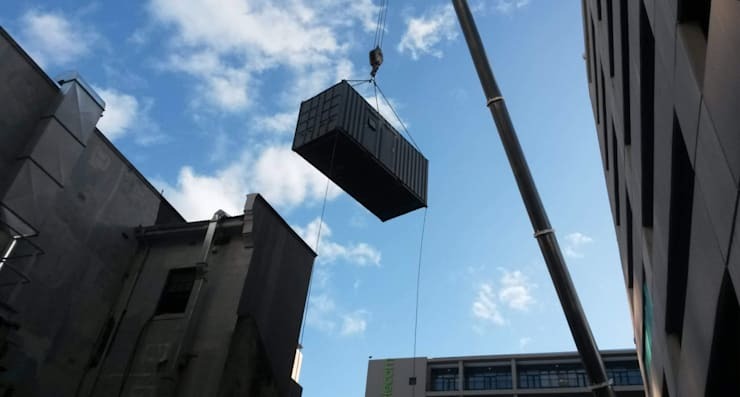 Even though all container conversions are completed at the company’s main premises in Cape Town’s industrial area Epping, products can be delivered anywhere locally and internationally. Searching for a shipping container to serve as your garden-based home office? In need of one for a retail / commercial project? Container Rental and Sales can be contacted for a variety of containers in various sizes. 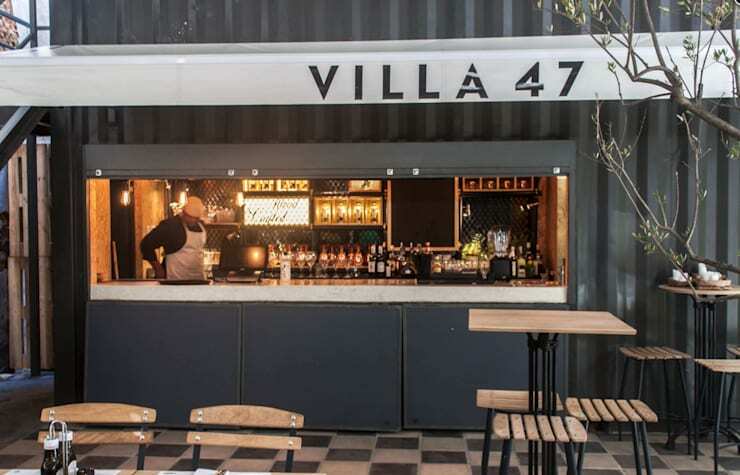 Let’s have a look at one of their most recent projects: a shipping container that became a bar and outdoor dining space in Cape Town, known as ‘Villa 47’. The project commenced in 2016 when the experts were invited by an innovative design firm to help them transform a dilapidated courtyard into an outdoor space ideal for socialising. 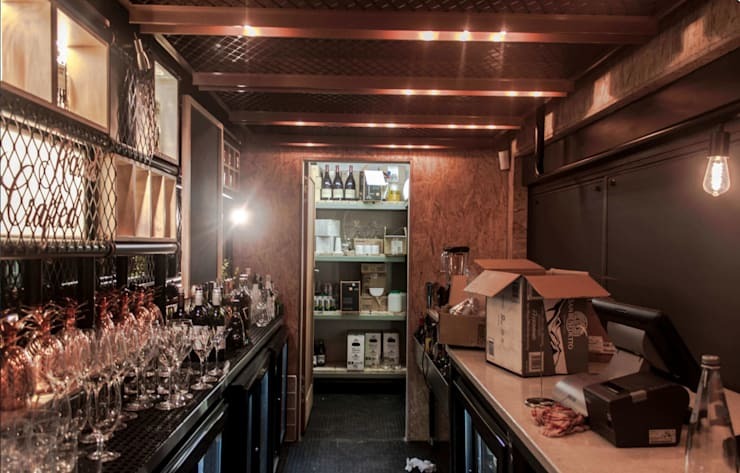 To achieve a top-notch bar-and-dining area, a 3 x 6-meter container was converted into a bar, office and storage area, complete with staircase. 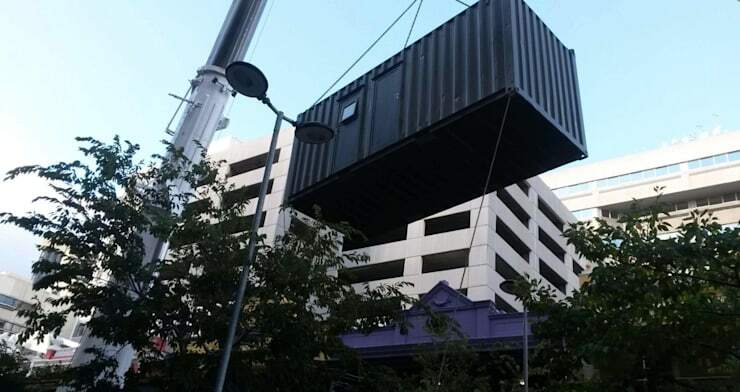 Of course the container didn’t just happen to be sitting in the right location, which meant it had to be craned over a building and into the courtyard to create the base of Villa 47. Today, Villa 47 is up and running, flaunting its industrial style with pride. 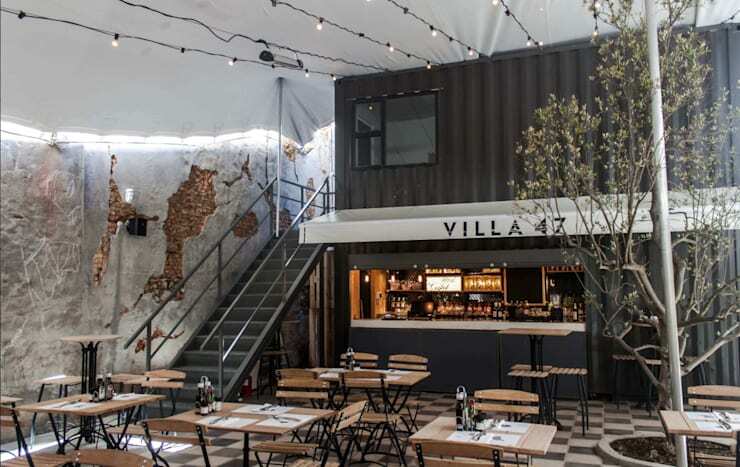 Just see how the steel container perfectly complements the rustic walls of the location (complete with exposed brick surfaces), as well as the timber of the tables, chairs and stools. On the inside, all required touches are present to ensure a once unused shipping container which today functions as a place of business. And that includes appropriate lighting and wiring, storage spaces, adequate legroom for staff, etc. •	A much shorter turnaround time for design, etc. Let’s have a look at some more images that speak of this amazing project (including the container being craned into its new spot). Keeping it local, let’s see 7 container homes from South Africa! 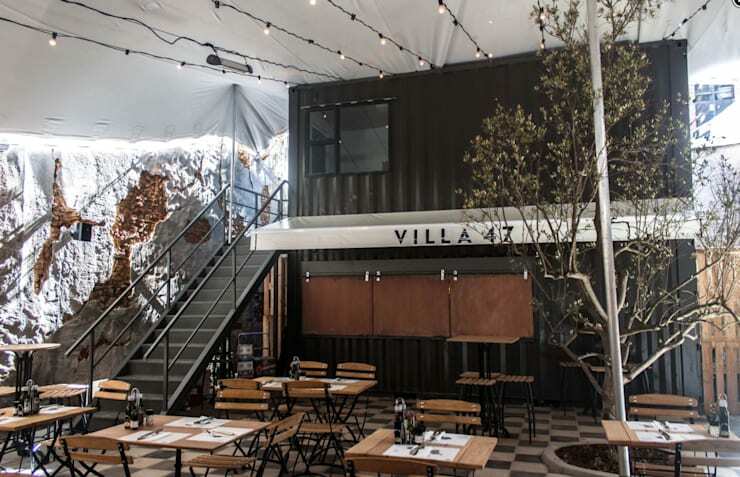 What are your thoughts on old shipping containers being used for houses and places of business?